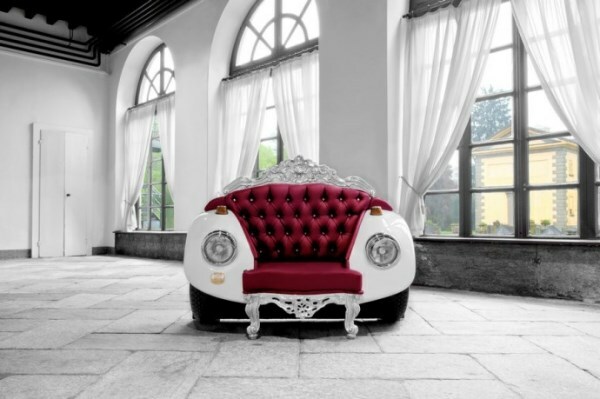 Good news for fans of retro cars and unconventional furniture: designers Andrea Colombo and Linda Assandri transformed the front part of the legendary Volkswagen Beetle MY1968 into a luxurious armchair. This year the designers launched their own studio Zac Glamour Design. Andrea Colombo is an architect and Linda Assandri is a specialist in baroque style. As the priority in their creative activities they have chosen so-called «BarocCarArt». And at the Milan Design Week their first appearance was a success. The studio introduced a Glamour Beetle chair – the first, very good result of their joint work. Zach Glamour Design creates upscale and luxury chairs, based on the model selected by the customer, as well as according to a provided sample. Their creations are can be purchased and rented. Manufacturing is characterized by manual work using precious materials such as Swarovski crystals, silver or gold leaf. The result is a satisfying understanding of a customer that he has a unique and unmistakable thing made entirely in Italy, by hands of a skillful master. Glamour Beetle – the name is quite appropriate. The chair really fits the requirements of “glamour”: leather seats, sparkling Swarovski crystals instead of ordinary buttons, the back interspersed with LED lights and carved details. 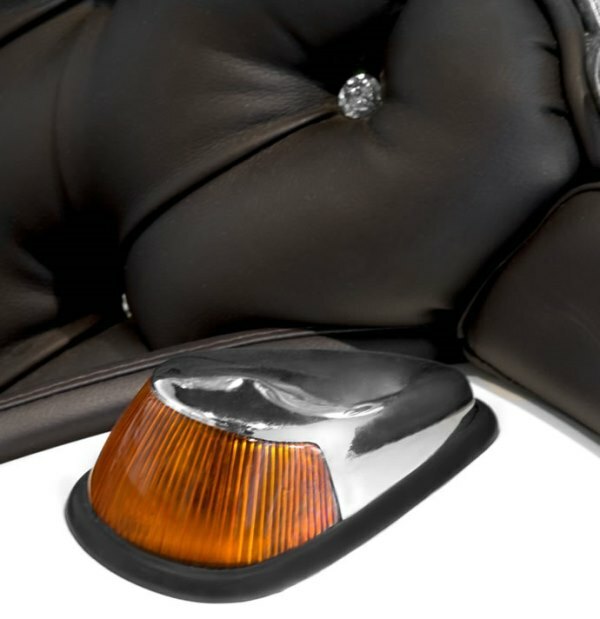 The details of the legendary “beetle” give a true work of contemporary art with Baroque elements. 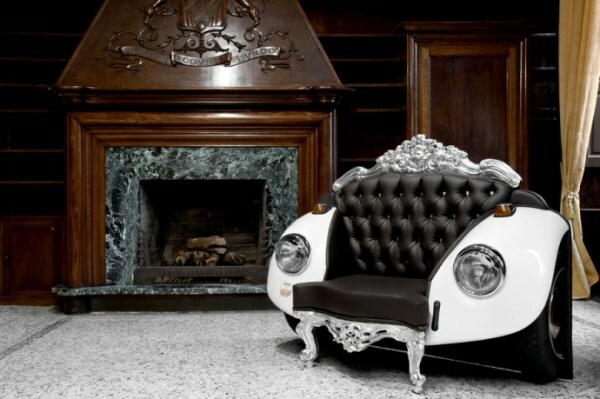 Glamour Beetle Armchair is really one of a kind. The sheets are colored by water-based eco-friendly paints, due to the greater attention to the environment. LED lighting systems are used to increase durability and energy savings. The best parking spaces for such seats will be a living room, a spacious lounge, a place next to the classic fireplace or cabinet with wooden decor. Luxurious Glamour Beetle armchair can be placed even in the street under a canopy, in this case a it will add glamour to your porch or patio. The armchair will perfectly fit into the interior of showrooms, modern boutiques and also loft spaces. The designers especially offer several options: armchairs with gold leaf finish or real silver, with maroon and black seats.